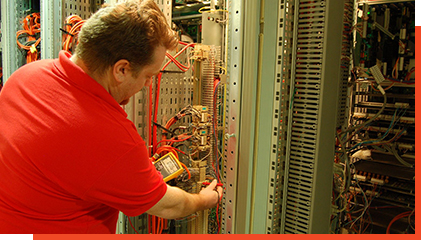 Troubleshooting corresponds to corrective maintenance services which are understood as services performed at the express request of the Customer, after observing a malfunction of the installation or the system. They enable to restore a defective installation. Our teams are available 24/7 to meet all your requests. All your requests are recorded and marked in the mobile log book tool developed by DEF. This solution ensures that your intervention request is taken into account and efficiently managed. Through the Logtek application, our technicians equipped with their smartphone prepare the on-site intervention report, which can be consulted and accessed via the Sentinel portal, as soon as you validate it.